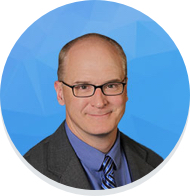 Dr. Stewart is an orthopedic surgeon specializing in hip and knee surgery. 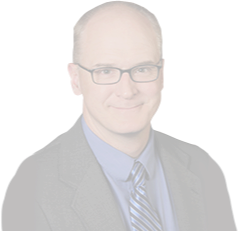 As the most experienced hip arthroscopist in Western Wisconsin, Dr. Stewart began performing hip arthroscopy in 2000. Being an orthopedic surgeon at the forefront of arthroscopic treatment of femoroacetabular impingement, Dr. Stewart has published research in collaboration with the University of Wisconsin – Eau Claire on the relationship between sports participation and femoroacetabular impingement (FAI). Current research includes how FAI can lead to hip arthritis. As a member of the American Association of Hip and Knee Surgeons, Dr. Stewart is dedicated to providing state of the art care for hip and knee patients in the Eau Claire and Altoona area. In December of 2013, Dr. Stewart began using the direct anterior (DA) approach for hip replacement surgery in the vast majority of patients. Currently, over 98% of his hip replacements are done through the direct anterior (DA) approach. While he changed to the direct anterior approach for faster patient recovery, his original research published in January of 2016(1) demonstrated the increased accuracy of component positioning of total hips done through the direct anterior approach as compared to the more commonly used posterior approach. In 2014, Dr. Stewart began to add computer navigation to his total hip replacement procedures. This allows for computer monitoring of the joint surgery to ensure accuracy. In the spring of 2016, Dr. Stewart has added the MAKO Robot to many of his total hip operations, in a continued effort to provide the most accurate hip replacement possible. Dr. Stewart joined Chippewa Valley Orthopedics and Sports Medicine Clinic in 2003. He is grateful for the trust patients and referring physicians have given him over these years. He is also thankful to the hospital staff at OakLeaf, Sacred Heart, and St. Joseph’s Hospitals. Their dedication and hard work allow Dr. Stewart and the other members of Chippewa Valley Orthopedics and Sports Medicine Clinic to provide exceptional orthopedic care to the Chippewa Valley. Dr. Stewart, his wife, and three children enjoy sports and the outdoors, as well as visiting family throughout Western Wisconsin and the Twin Cities.